Mark your calendar. The Northeast Florida Association of Rocketry (NEFAR) hosts it’s annual Bunnell Blast two-day rocket launch in November. The launch, near Daytona Beach, Florida, begins at 9:00am on Saturday, November 9, and continues on Sunday, November 10. On Saturday, the sport and research launch extends until after dusk to incorporate night launches. Traditionally, Bunnell Blast has been the time when rocketry hobbyists debut their biggest and most challenging projects. 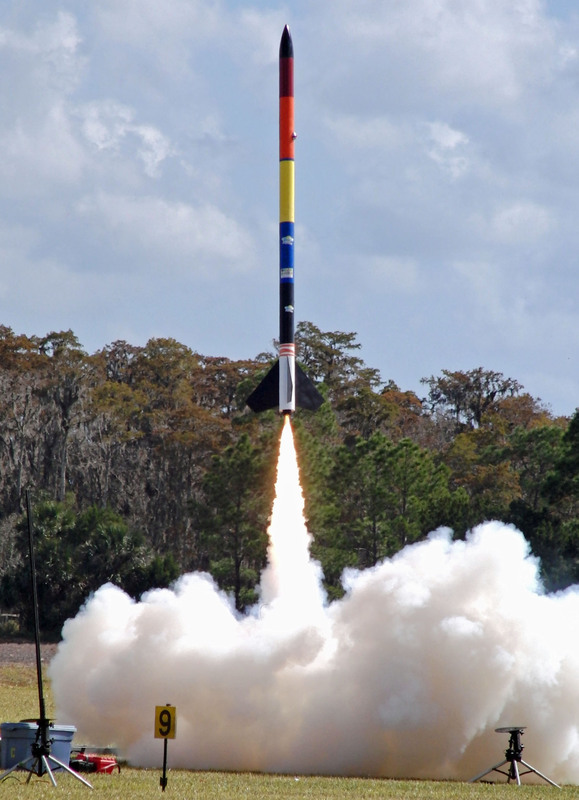 The Northeast Florida Association of Rocketry (NEFAR) will host its annual Bunnell Blast regional launch on November 10 and 11, 2012. Bunnell Blast is a two-day sport and research launch for model rockets through high-power rockets. The launch begins Saturday morning and runs into the early evening as rockets are launched at dusk. Sunday’s launch eands in the early afternoon. For more information about NEFAR visit the club’s web site at http://www.nefar.net/.